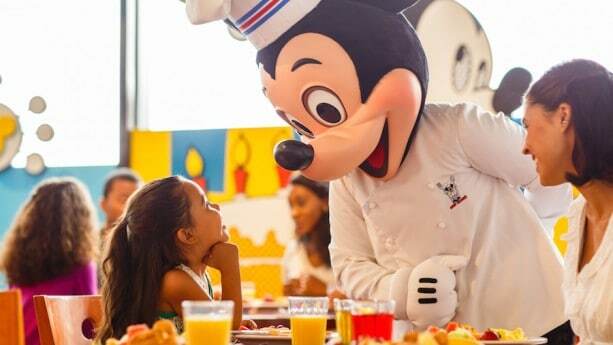 Disney has just announced that starting on May 31st there will be a Chef Mickey Brunch at Disney’s Contemporary Resort. The Chef Mickey breakfast and dinner are always very popular and it is sure that the new brunch will also be one of the most popular dining choices in Disney World. Caesar Salad, seafood, fresh broccoli, antipasto, chicken and Caprese, and hot dishes such as barbecued ribs, seafood étouffée and baked salmon. The ice cream bar and Contemporary bakery sweets also will be part of the expansive buffet. The Chef Mickey brunch hours are 11:30 a.m.-2:30 p.m. The Chef Mickey Breakfast is 7-11:30 a.m. and dinner is at 5-9:30 p.m. The Chef Mickey brunch will be one full service dining entitlement on the Disney dining plan. Chef Mickey’s is located in Disney’s Contemporary Resort Hotel so it is one of the character experiences you can enjoy without having a park admission ticket. Will you be trying the Chef Mickey brunch?